Big DRINKS… Small Prices! In true Italian flavour we’re celebrating life and LIFE IS BEAUTIFUL! 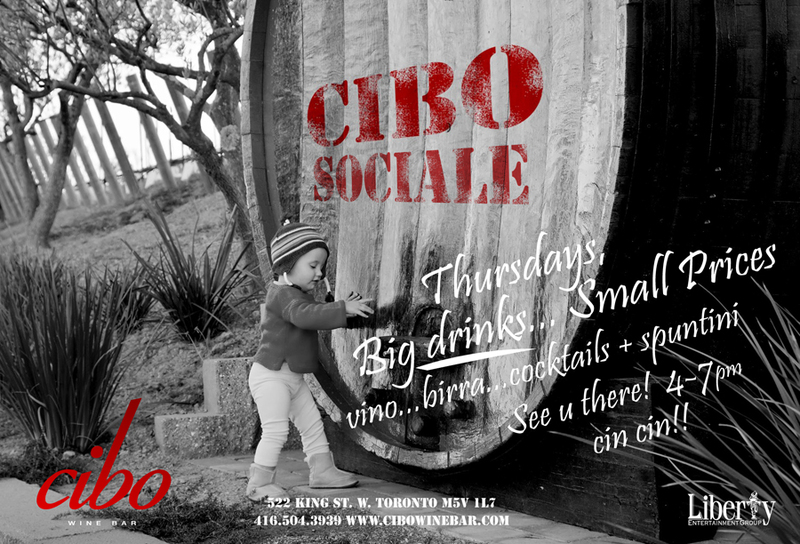 Join us every Thursday at your local Cibo location for… Vino, Birra, Cocktails & Spuntini! Don’t miss out on this weekly salon and social! Try one of Cibo’s signature cocktails for something really special… See you there! Cin Cin!! Every Thursday at Cibo Wine Bar! See website for location details.